The Coppell Crime Stoppers will pay for tips that lead to the recovery of vapes on any Coppell ISD Campus, as of Jan. 24. Tips to Coppell Crime Stoppers can be provided at coppellcrimestoppers.org, 972-436-8477 or downloading the P3 Tips app. In the past, Coppell Crime Stoppers has not paid for tips about students vaping at Coppell High School because the tips did not result in an arrest, or even a ticket. However, Coppell Crime Stoppers will now pay for tips leading to the recovery of vapes. This action has been put into effect to reduce the amount of vapes on CISD campuses by students. According to Coppell Police Department sergeant and coordinator of the Coppell Crime Stoppers Eric Debus, vaping has gotten out of hand on CISD campuses. 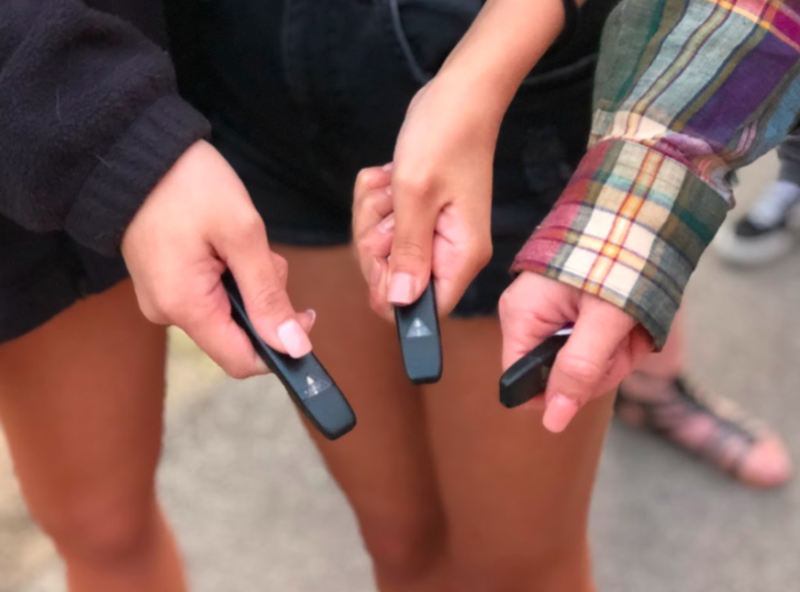 “We would get numerous complaints from the students, saying that there would be kids vaping in the classrooms or in the restrooms,” Debus said. CHS assistant principal Nick Coenraad and campus APs are aware vaping is a huge problem on CISD campuses. Due to these concerns, the Coppell Crime Stoppers decided to help Coppell ISD. “When the Coppell Crime Stoppers realized that CISD was struggling with ways to reduce vapes, we thought that a Crime Stoppers reward would help,” Debus said. When a student or any other person provides a tip to the Coppell Crime Stoppers, the police will check if that particular student possesses the vape. If this search does lead to the recovery of a vape, the person who gave the tip will receive a confidential amount of money. “The Coppell Crime stoppers will pay a reward for each vaping tip that results in the confiscation of a vape or vape boyle on any campus at CISD,” Coppell High Student School Resource Officer Diane Patterson. “This will lead to two days In-School-Suspension, and could lead to an arrest. Since the Coppell Crime Stoppers is a nonprofit, much of the money comes from private donations and a probation fee given by the North Texas Crime Commision, which will be given to people who give the tips. Patterson thinks this action has been useful in helping to eliminate the amount of vapes being used on campus. “The method has actually been effective, the Coppell Crime Stoppers have received numerous tips regarding vaping, which have led to the confiscation of vapes on this campus, and a payout of more than 400 rewards,” Patterson said. Although, there are people who think that this method will not be effective in reducing the amount of vapes on CISD campuses. You can give a tip to the Coppell Crime Stoppers by reaching its website at coppellcrimestoppers.org, calling them at 972-436-8477 or downloading the P3 Tips app to give tips. Editor’s note: This story is a part of The Sidekick’s continuous coverage on vaping. Visit this article for further information.